STICKY: FAQ – Please read these before posting! Home › Forums › Support › STICKY: FAQ – Please read these before posting! This topic contains 0 replies, has 1 voice, and was last updated by Christian 4 years, 6 months ago. FAQ for the Zaquencer Firmware. Q: Is the Zaquencer the right thing for me/will it work with my setup? A: It is impossible for us to test the Zaquencer with every DAW and Midi Interface out there. We have tested it with the big players with no problems. Please try the demo to see if it works to your liking with your setup! This is by no means exhaustive. The trend is though that most modern interfaces seem to work. Q: Will installing this firmware remove all of the original BCR’s functionality? A: You can program 2 independent midi controls per track (CCs, Pitch Bend, Aftertouch, Program Change). Q: What about the BCF 2000? A: The BCF is not supported because the concept depends heavily on the 32 rotary encoders (for 32 steps and the global menu). It´s also not planned to develop a dedicated BCF version in the future. Q: Can i use more than one BCR2000? A: You can sync two or more Zaquencers via Midi Clock to get more tracks (8, 12, 16…) but not more steps. One license will enable one device, so please factor in the costs of additional licenses if you plan to use more BCRs as Zaquencers. A: One license will enable one device. Please factor in the cost of a second license to use two BCRs as Zaquencers. Q: What if my BCR2000 with an installed Zaquencer license should break? Can I transfer the license? A: As a general rule, the Zaquencer license is bound to one BCR device. Still, if your BCR with a Zaquencer license on it should break, please get in touch with our customer service at support@zaqaudio.com. We don´t want to leave our customers hanging, but we will evaluate every case on an individual basis and reserve the right for asking for proof and denying the support request. Q: How can I get the license transferred when I want to buy/sell a used BCR+Zaquencer? A: When buying/selling a used BCR+Zaquencer, a license transferral is important if the new owner needs to contact our support or to get updates from our website. 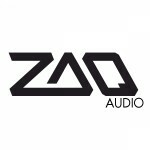 To get the license transferred we need a short email from the seller to support@zaqaudio.com about wanting to transfer the license, specifying his order number, order email, challenge and response codes and the “destination” email adress and name for the transferral. Please note that we only support transferring a license between users on the same device. You cannot sell your license of the Zaquencer firmware independent of the BCR. This topic was modified 4 years, 6 months ago by Christian. This topic was modified 4 years, 5 months ago by Christian. This topic was modified 6 months, 4 weeks ago by Christian. The topic ‘STICKY: FAQ – Please read these before posting!’ is closed to new replies.